My views on Margate have had mixed reactions. There are some who think it a wonderful place and are optimistic about its future. Others see it as a rundown hangover from a past that is irrelevant today. Some see it as a chance for those who cannot afford to live in London or Brighton, but who want to stay close to home and not move to Manchester or Birminhgham. Me, I'm just keeping my head down. We like anywhere that has a bit of local culture as well as being outward looking. The most successful places in Europe are those that have reinvented themselves as post-industrial like Barcelona or Glasgow. They haven't forgotten their history, just added more layers to what they do. 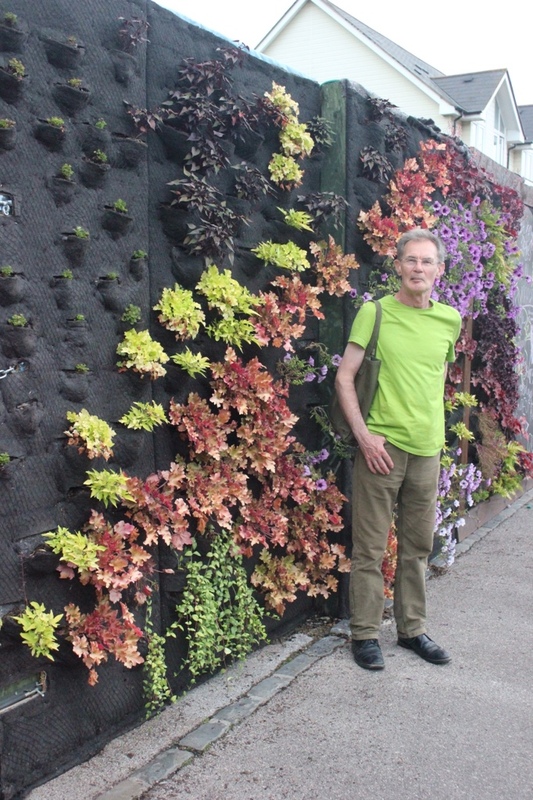 British seaside towns could do this too. 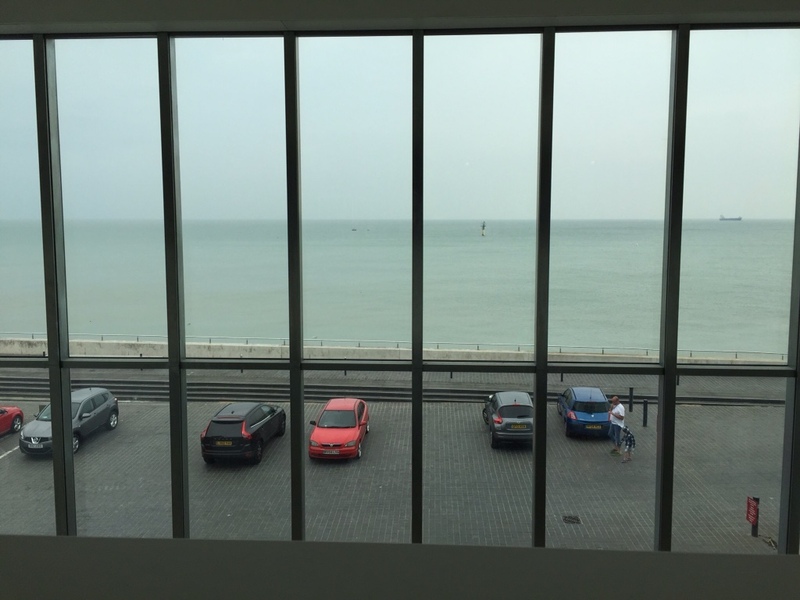 The Turner Contemporary in Margate is good, but it needs more besides it to create a proper buzz and there are signs this is happening. It is another thing waking up in a hotel in the middle of a giant retail arena. Nobody seems to have considered that the landscape design is more akin to a nightmare, where you can see what you want, but can't get to it. They call it a retail park, but it is an asphalt desert. When was full, with ranks of cars stretching away to distant buildings, it reminded me of the sci-fi movie Metropolis with the armies of automata waiting to start work. This morning it was empty, with not a soul visible and only a handful of cars. I had to find a shop with milk and juice for our breakfast. Instead of being able to walk along a street with shops on either side, you stand with every building equally a hundred or so metres away and with no idea how to get there. I kept having to cross parking bays and 'roads' and having to walk either across bits of scrubland, or go out of my way to find a path heading approximately in my chosen direction. 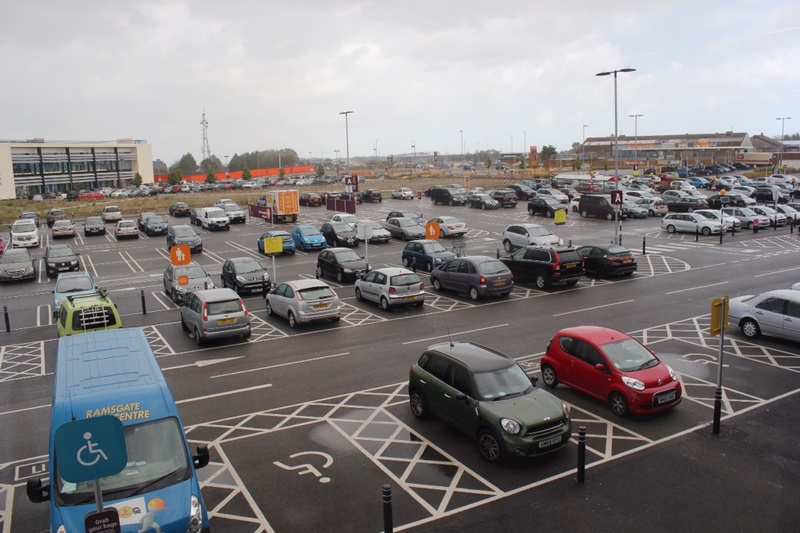 I came to a Sainsbury 'superstore' which, surrounded by acres of car parking bays, is built on concrete stilts to accommodate a car park underneath. Did they not realise where they were putting this? What did the builders think when they arrived to start work? I can imagine them asking. “Ere gov. Are you sure these ain't the plans for the bosses mansion in Surrey”? So, to get into the shop, you have to go up in a lift or escalator. And most of their customers park outside in the open. All those years ago, in North Wales, some people might have taken it for a sign of things to come that we started our life together in such a mess. If Christina ever had reason to worry for her future, this was surely the moment more than any other. What I hope we can say is that it couldn't get worse. Well okay, immediately after, when we got to Betws-y-Coed and found the Rhaeadr Ewynnol or Swallow waterfalls had dried up completely, the campsite ground was too hard to drive tent pegs into (way too hard for people without a bed to sleep comfortably on) and the male toilet block was a slime coated cesspit so we both had to shower in the women's toilet block, wasn't something to write a eulogy over. But, I can honestly say that the remainder of our honeymoon was either so uneventful or terrible that I have completely forgotten what happened. Or blanked from memory. The good thing is that you can never tell. 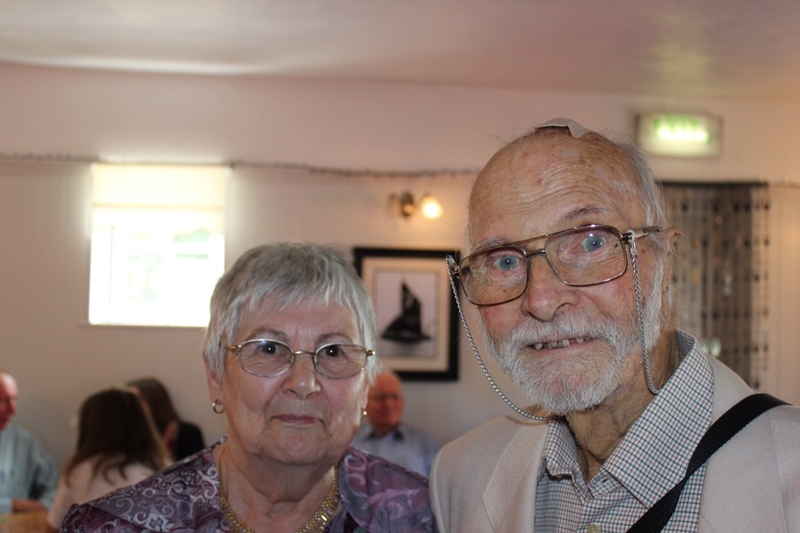 Today was the Sixtieth wedding anniversary of my aunt and uncle and a lovely occasion as it turned out. 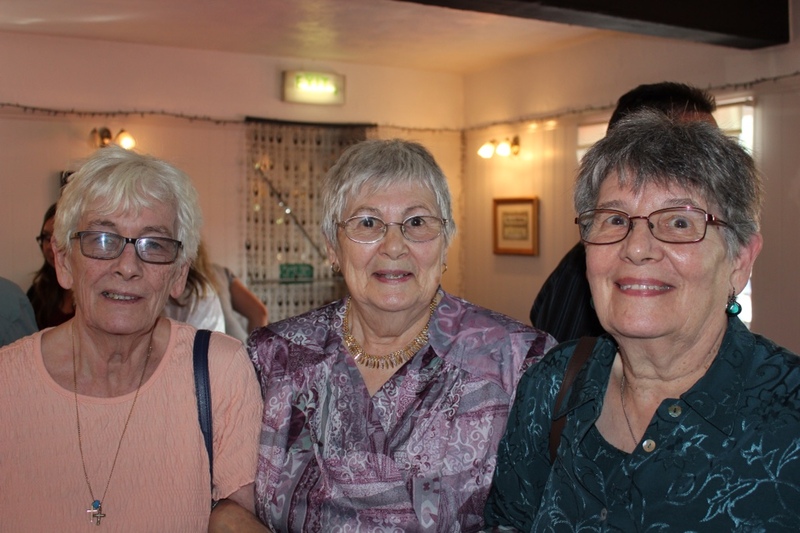 They had chosen a local pub, with a large car park and function room to fit all the family members who were expected. And they all came from far and near to help celebrate. I did wonder why we were not in the same place where we had a party for Phil's eightieth birthday. I asked, but people were reluctant to tell me. I'm not saying it might have gotten a bit rowdy, because we had to leave early that day. I'm just asking the question. Anyway, so far as we could tell, there's no good reason we can't go back there for Polly's birthday next year. I love these events, for the chance to see the reactions from people seeing relatives who have grown four feet and a family, occasionally a beard, in the time since last they met. It's fun trying to guess how many 'times removed', second or third cousin, great or grand parent or child relations are in the room. Nothing beats a gaggle of people trying to work out 'who that woman is' that they've been introduced to several times, but have no idea about. When they do find out, they are relieved that they haven't spent half an hour swapping intimate family stories with a member of the catering staff. We drove to Broad Oak along the slowest road we could find but still the traffic here compared to Northumberland feels fairly heavy at any time of day. The fact that the buses don't run between even some of the large towns doesn't help. If you can relax enough to look around, this is a very attractive and verdant part of the country. No wonder people from the East End of London would come out here every summer to pick hops with the whole family. At the pub, we met my mum and her sister Cheryl who came by train and voluntarily agreed to be our hostages for the trip back to London. With only a few roundabouts circled multiple times, we made it back around London and into it again from the other side, without serious mishap. At last we unloaded the boot full of Beano and Dandy annuals onto someone else. This whole trip would be worthwhile for that alone. Now my mum has to persuade our youngest to collect them before her floor collapses with the weight.